Hi lovelies! As promised I'm updating in time! Today Outfit Post; I'm sure you will notice that these pictures are a little bit dark but since there was an amazing sunset behind me, we tried to catch it with decent results. Now I show you my other pictures, sorry again if some of them are darker and tell me if you've noticed the sunset colours :) As usual I'm waiting for your opinions and comments! Buongiorno! Come promesso sto aggiornando in tempo! Oggi Oufit Post; Sicuramente avrete notatao che le foto sono un pò scurette ma dietro di me c'era un bellissimo tramonto e abbiamo cercato di mostrarlo anche in foto, il che non è impresa facile! Adesso vi mostro le altre foto, mi scuso di nuovo se alcune sono un pò più scure e ditemi se riuscite a notare i colori del tramonto :) Come al solito aspetto i vostri commenti con le vostre opinioni! I love those zara heels! You look fierce, girl (: And great scenery! You look so gorgeous darling!!!! !Today I discover your blog and I love it. I became your new follower, if you can join to my blog too I will appreciate this too much. 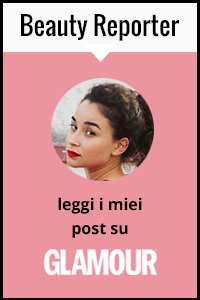 come sei bella in queste foto!!! That photo is so beautiful; You look gorgeous, your outfit is perfect and the view is awesome! Please check out my blog and follow if you like it, i'll definitely follow you back! The pictures came out good! I love those shoes they are so comfy! gorg photo! the top and shoes are ultra chic! love the shoes!!! so fabulous! btw, i follow your blog. do you mind follow my blog too? my blog have much DIY, check it out! you look really, great and yes! I would like to follow, following you via bloglovin now :) hurry up and follow me. I love that top! the cuts look awesome. I also love how you styled this look. You look great. Looking absolutely gorgeous doll and the photos are stunning. PRETTY!! This shoes are the perfect touch!! What an awesome look pretty girl....everything is so well put together! That top really is a stunner, the cut out detailing is so cute. Love your curls and shorts and just everything summery about these photos! Beautiful backdrop! Love your top! Love those heels. I have them in black but I've always wanted the tan and orange ones. Lovely simple outfit. :) This is stylish but still comfy. I like it!